Norway is one of the richest countries in the world. It also has one of the most advanced eCommerce industries in the world and the second largest eCommerce Scandinavian market. In fact, eCommerce has been in a growth phase for several years. All predictions indicate this period of growth will continue into the foreseeable future. One of the reasons behind the success of the eCommerce industry in Norway is the numbers of people who have access to the internet. The country currently has an internet penetration rate of 97 percent which equates to 4.95 million people. Of those, 3.2 million are online shoppers, spending an average of €2,467 a year. This compares favourably to other Nordic countries and is among the highest in the world. One of the factors helping to drive the growth of eCommerce in Norway is how easy it is to deliver orders. In fact, Norway ranks highly in the World Bank Logistics Performance Index. It looks at things like the quality of the transport infrastructure in the country, how easy it is to arrange low-cost shipments, the timeliness of shipments, and the quality of service customers receive from logistics providers. With 80 percent of the population living in an urban area, Norway remains one of the easiest countries in the world to deliver to. eCommerce in Norway is currently worth about €8.5 billion a year. Fashion is the most popular online shopping category, while “toys, hobby & DIY” is the second most popular category. The top eCommerce websites in Norway are eBay, Komplett, Prisjakt, and Amazon. 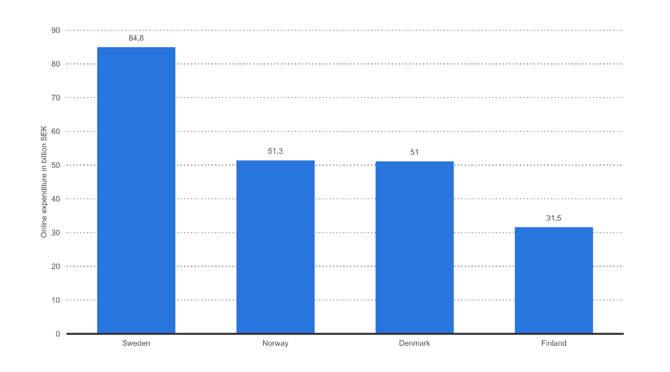 The most popular method of payment for Norwegian consumers on these and other eCommerce websites is credit card. In fact, 66 percent of online shoppers use cards when making an online purchase. 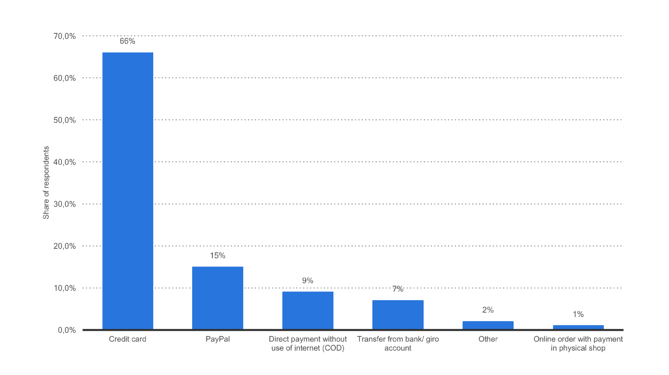 The second most popular payment option is PayPal which is used by 15 percent of consumers online. 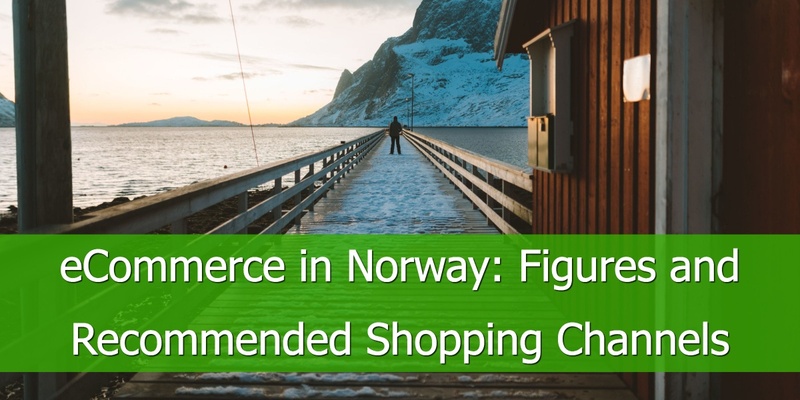 Average annual spend per shopper is one of the most important eCommerce statistics available, particularly in a country with a high internet penetration rate and a high percentage of online shoppers – such as Norway. The average annual spend per shopper in Norway is expected to grow by 30 percent over the four-year period from 2017 to 2021. The value of the eCommerce industry overall is also expected to grow over the same period. Experts believe this will be by as much as 40 percent. 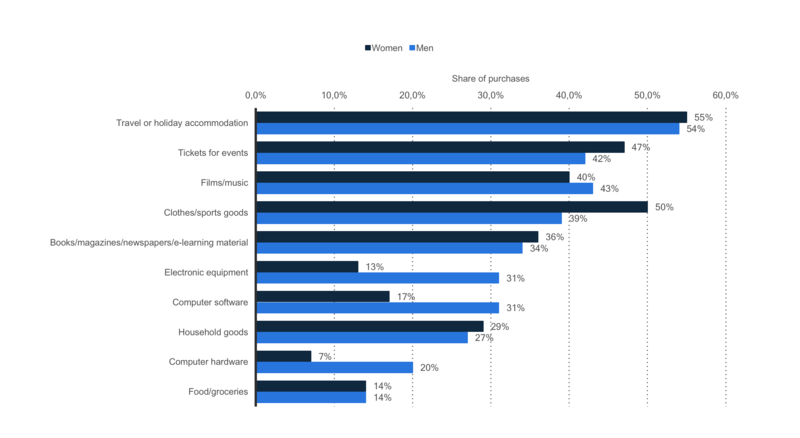 Another interesting trend to consider when looking at the eCommerce market in Norway is the split between male and female shoppers. Currently, more males shop online than females, a trend that is not expected to change in the coming years. In general, Norway’s eCommerce industry is getting stronger. This is because of the healthy economy and high standard of living in the country combined the high rates of internet use and the confidence consumers have shopping online. 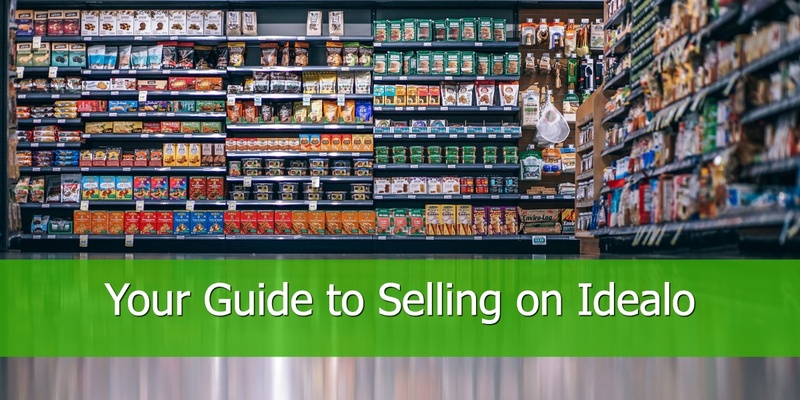 The current shopping trends are forcing merchant to diversify their multichannel strategy and to explore channels where people are actively searching for a product. Prisjakt is an international price comparison service launched in 2000 in Sweden. They have products listed in 8 countries: Norway, Sweden, Finland, Italy, France, New Zealand, UK, and Ireland. 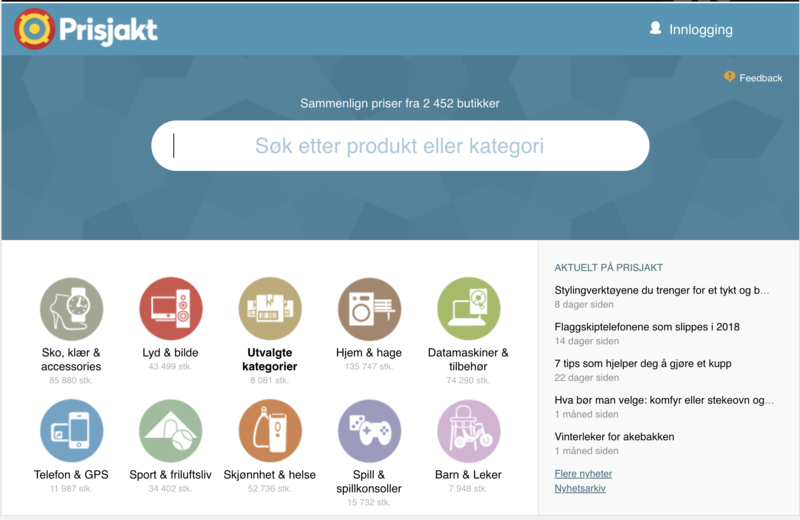 In Norway, Prisjakt.no has over 497 000 products from 2456 indexed stores. Have a Norwegian organization number and be VAT registered. 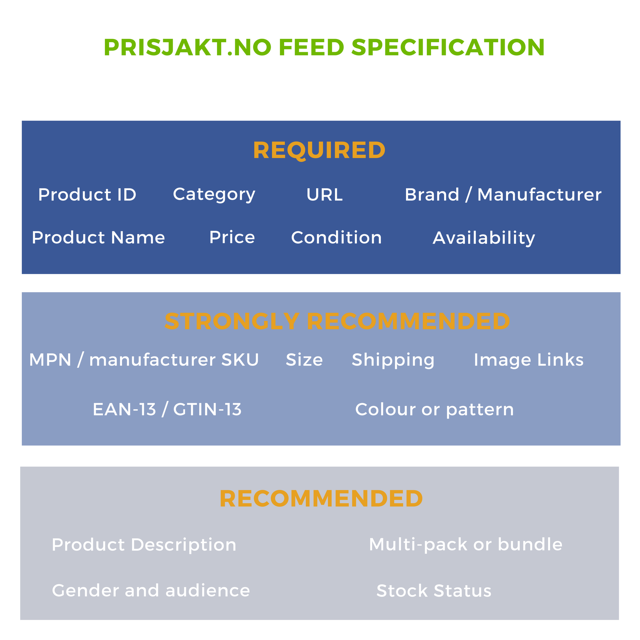 You can check Prisjakt.no’s product feed specifications plus all the recommendations here. Europe. They generated £12 billion in revenue in 2017. 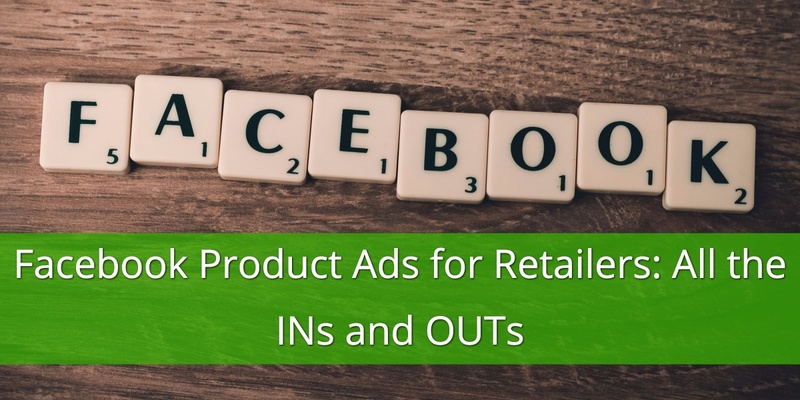 With more than 100,000 active affiliates, retailers have plenty of opportunities to expand their reach and increase their revenue. Product_id - Unique Product ID. It must be 75 characters or shorter. For highly recommended fields, as well their complete feed specifications you can check their recommendations here. Feed errors prevent your feed from being approved on AWIN and result in lost sales. Let's see how you can quickly avoid them. Why: If you switched to Manual Upload from Automated then the system is looking for the location of the feed. Solution: Disable the update schedule. Why: Incorrect feed transfer method, an error in the URL structure or the data has been removed from its previous location. Solution: Manually check the feed by copy pasting the URL of its location in your browser. Solution: HTML encode the characters or use CDATA tags. Why: Merchants are prompted with this error when their feed location is incomplete or the field delimiter is incorrect. Solution: Check the source of your feed to make sure it is complete or it has not been moved from its previous location. 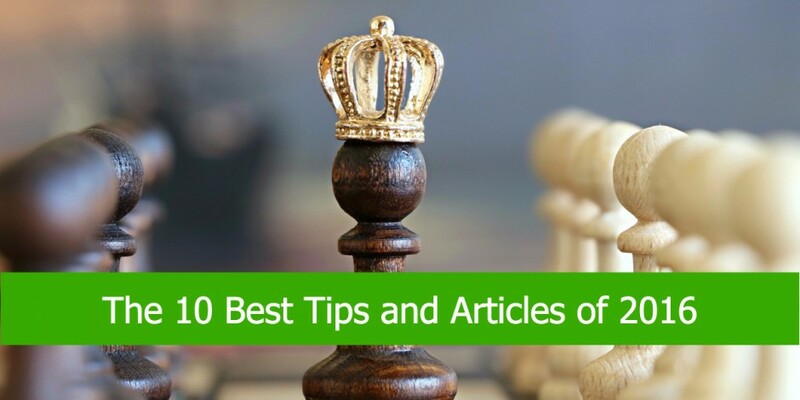 Also make sure you are using the right delimiters for the type of feed you provided. Choosing which ones to advertise your products on is going to require a bit of research and a lot of trial and error. 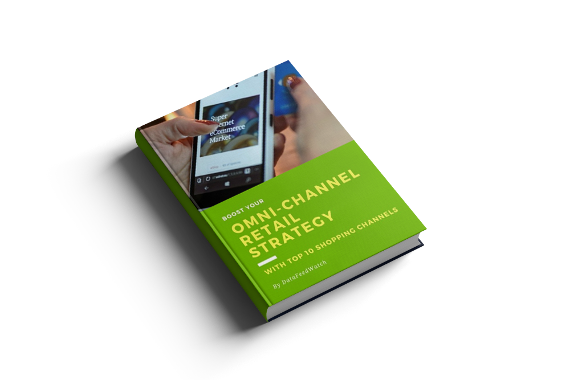 Some channels deliver better results for certain product categories. 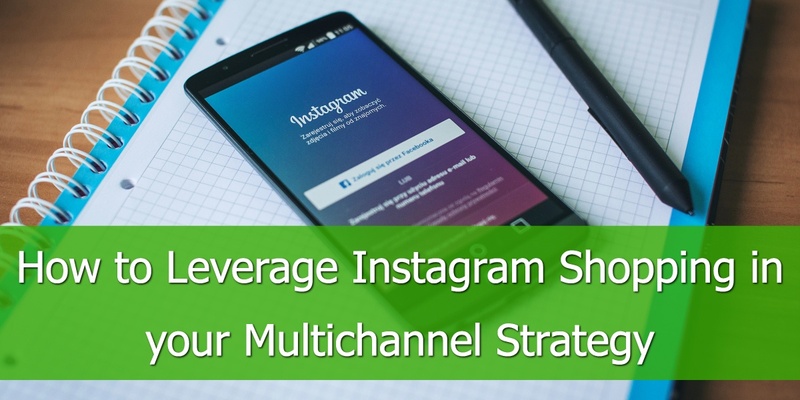 Pick a few channels, no more than 3, and start advertising. After a while, you can see which channels get you more sales and less cost. Then replace the worst channel by another one and see if it does better.